Slightly darker and milder than regular soy sauce, this aromatic Kikkoman tamari soy sauce is known as a traditional flavor enhancer. It is made of soybeans, salt, and wheat for a refined taste and is preservative-free for all natural flavor. Kikkoman takes pride in their authentic fermenting process to yield true, brewed soy sauce flavor, and it is a recognizable brand for your Asian-inspired restaurant, noodle restaurant, or cafe! Tamari soy sauce is perfect for noodle dishes and grilling beef, pork, tofu, seafood, and chicken. Blend it into a signature dipping sauce, or whisk it into savory dressings and marinades. 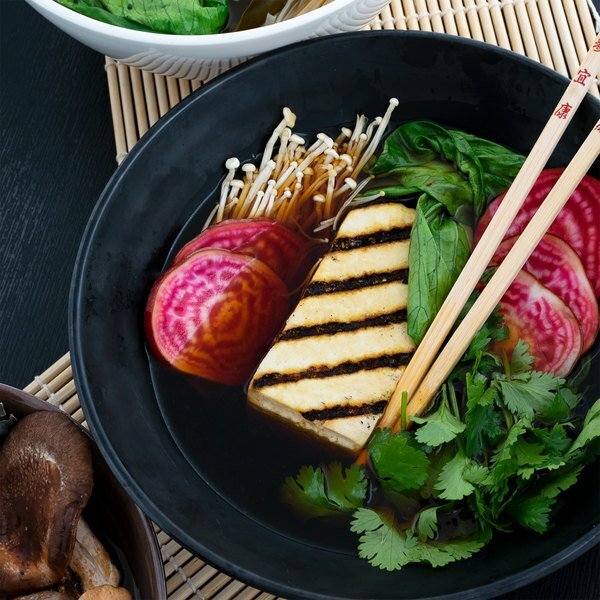 The light, delicate consistency of tamari soy sauce has a distinctive essence for your traditional Asian cuisine, and also brings new tastes to mainstream American foods! 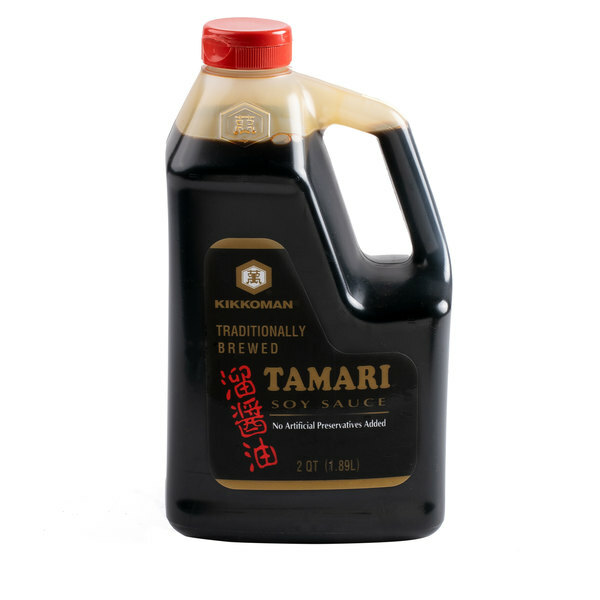 Stock your kitchen with this .5 gallon container of tamari soy sauce. It features a convenient handle for pouring and transporting, as well as a resealable cap to keep the product fresh. This is the non gluten free version of Kikkoman's tamari. It tastes like a less strong version of soy sauce. It's good but why not go fully gluten free if you are going that route.